It's no secret that the people who run the Mt. Hood Territory social channels are kind of sunrise and sunset obsessed. Okay, mostly it's me, but since I get to have a lot of say in what gets shared, my obsession shows through a lot. Fortunately, Mt. 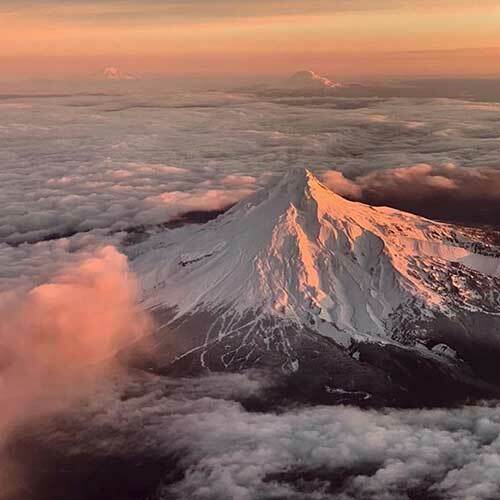 Hood Territory has no shortage of amazing skies to share, and the talented photographers who showcase our region do an amazing job of capturing the way the light plays off the clouds and the mountain itself. So here are some of our favorite sunrises and sunsets we've featured over the past few months. We hope you enjoy, and also give the photographers a bit of love and follow/like their stuff as well. The skies lit up this morning on our way into work. This little viewpoint in Boring overlooks a farm and nursery, creating a perfect spot to enjoy morning's first light. Jonsrud Viewpoint is a popular spot in Sandy. It's pretty obvious why so many people come here. Not only does it offer amazing views of the mountain, it also overlooks part of the Barlow Road, part of the famed Oregon Trail. Photo by David Leahy Photography. If you have to wake up early for a flight, might as well get an amazing view at sunrise as you fly out to make it worth it! That's what Nathan Campbell got to see as he flew out of PDX. 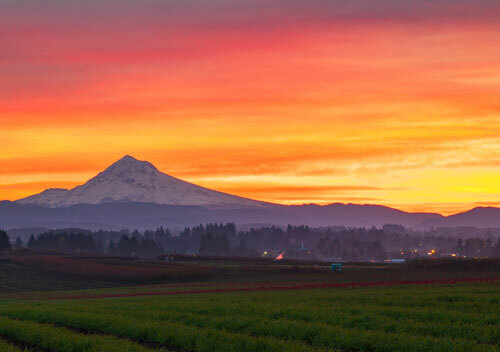 Mitch Schrieber is a master at capturing stunning colors in his photography, and this shot from Clackamas is no different. 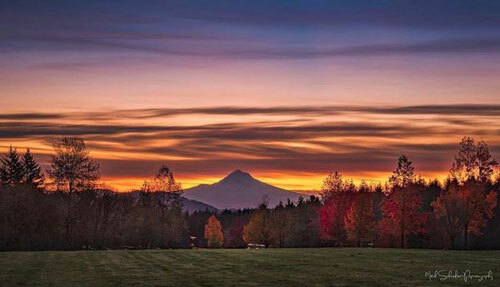 Not only did he get an amazing sunrise, but the fall colors in the foreground make this a truly stunning scene. Sometimes the conditions line up just right and Mt. Hood casts a long shadow on the clouds above it at sunrise. 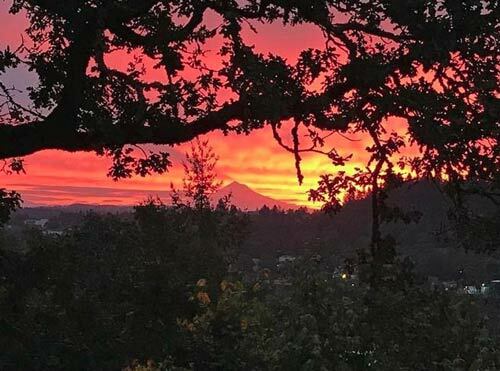 This was the case earlier this year when Jason Beaudry captured the phenomenon from West Linn. 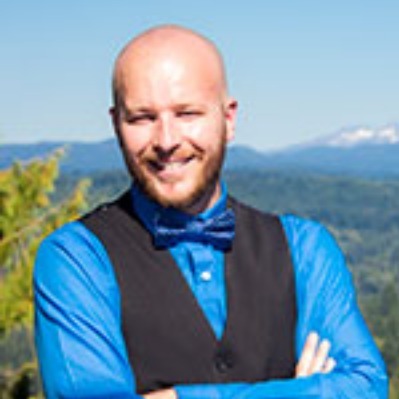 Matt Gutt took an early morning hike in the Mt. 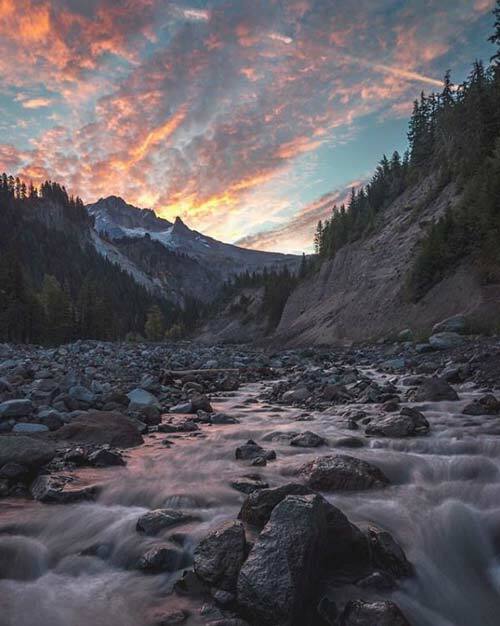 Hood National Forest and captured this gorgeous sunrise over a rushing mountain river. 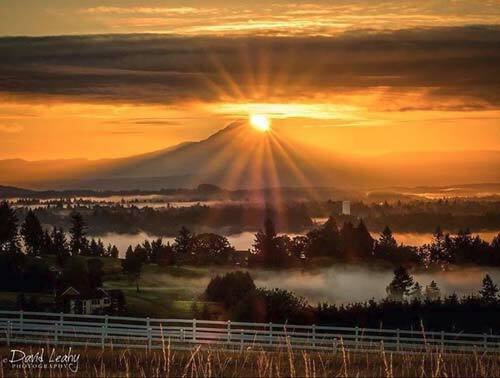 David Leahy Photograhy gets his second entry on this list with this amazing sunrise from atop Pete's Mountain in West Linn. Not only does Pete's Mountain afford killer sunrise opportunities, but a number of great wineries as well. If you captured an amazing scene in Mt. 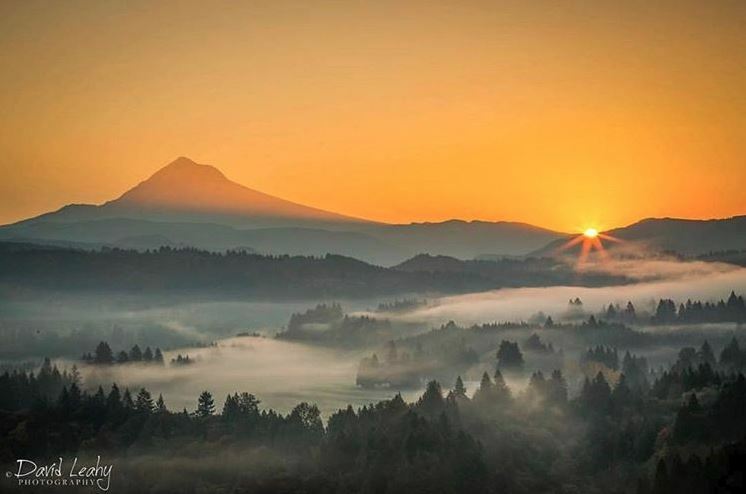 Hood Territory and want to see your work in our next roundup, be sure to use our #omht hashtag with your posts. We'd love to see what you got!